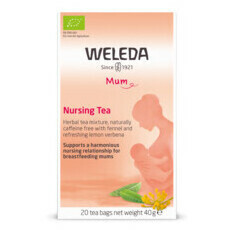 This ultra-soothing balm is specially formulated for the delicate nappy area. White Mallow extract, Coconut and Sesame oils form a protective layer over the skin to maintain the skin's natural moisture levels whilst preventing irritation, and Zinc Oxide protects the skin from the acidity of urine. This formulation is approved by the National Eczema Association and can also be used anywhere on the body. Made in Germany, NATRUE Certified with Organic Ingredients, GMO & Cruelty Free, Gluten Free, Certified Fair Trade; packaged in recyclable tube. Water (Aqua), Zinc Oxide, Cocos Nucifera (Coconut) Oil, Prunus Amygdalus Dulcis (Sweet Almond) Oil, Sesamum Indicum (Sesame) Seed Oil, Glycerin, Lanolin, Hydrolyzed Beeswax, Glyceryl Oleate, Beeswax (Cera Alba), Borago Officinalis Seed Oil, Helianthus Annuus (Sunflower) Seed Oil Unsaponifiables, Althaea Officinalis Root Extract, Viola Tricolor Extract, Glyceryl Caprylate, Sodium Caproyl/Lauroyl Lactylate, Lactic Acid. 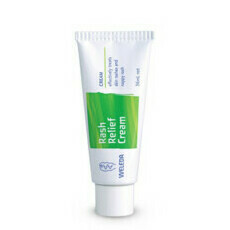 Suitable for babies and children, and eczema prone skin. This stuff is so good. I use it for rashes, pimples and have even used it as sunscreen! The best! Works really well. Wish it came in a bigger size! We have been using this every day on our now 10 week old. She hasn’t had a rash yet. Easy to apply.